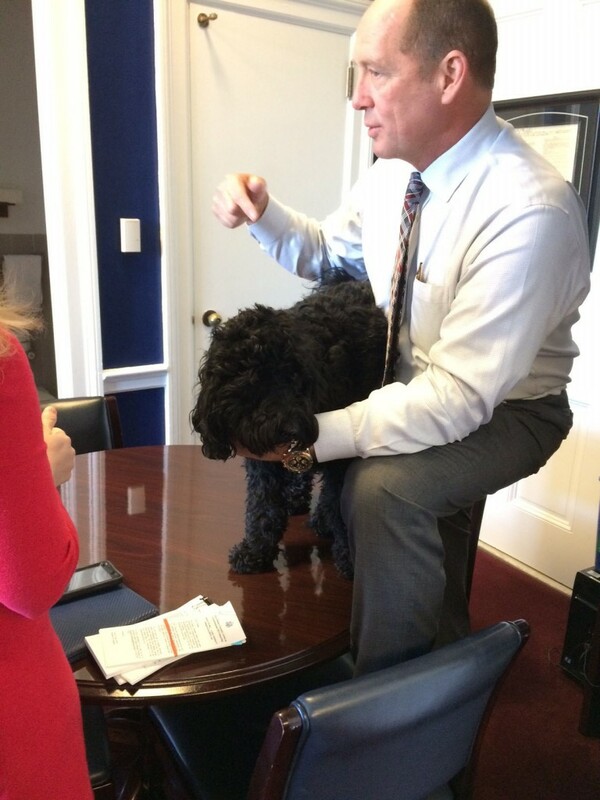 In one congressional office, there could be a dog standing on a table at any given time. Veterinarian-turned-politician Rep. Ted Yoho’s extracurricular from his day job is consulting for his colleagues on their pets. There’s also the occasional hands-on consultation. Roughly a dozen staffers have brought their pets into Yoho’s office. A staffer in a neighboring office brought a dog named Winston in February. Last May, miniature horses from Therapy Horses of Gentle Carousel, based in Florida, stopped by the office for a checkup. Yoho&apos;s colleagues in the House will call or send photographs seeking his advice. “We get [members] who say, ‘Hey, what kind of dog is this we’re looking to adopt?’ You’ll give them your recommendation or what you think the breed is,” he said. On-the-spot consultations are nothing new for the Floridian. “I’ve removed legs from dogs on the bed of my truck on the farm,” he said. Yoho received his veterinary degree from the University of Florida in 1983 and has worked primarily with large animals. Yoho and his wife, Carolyn, have owned dogs, cattle, horses and cats, but do not have any pets of their own at the moment. “The kids are happy and the little puppy is licking your hand, those are kind of neat feelings,” Yoho said.